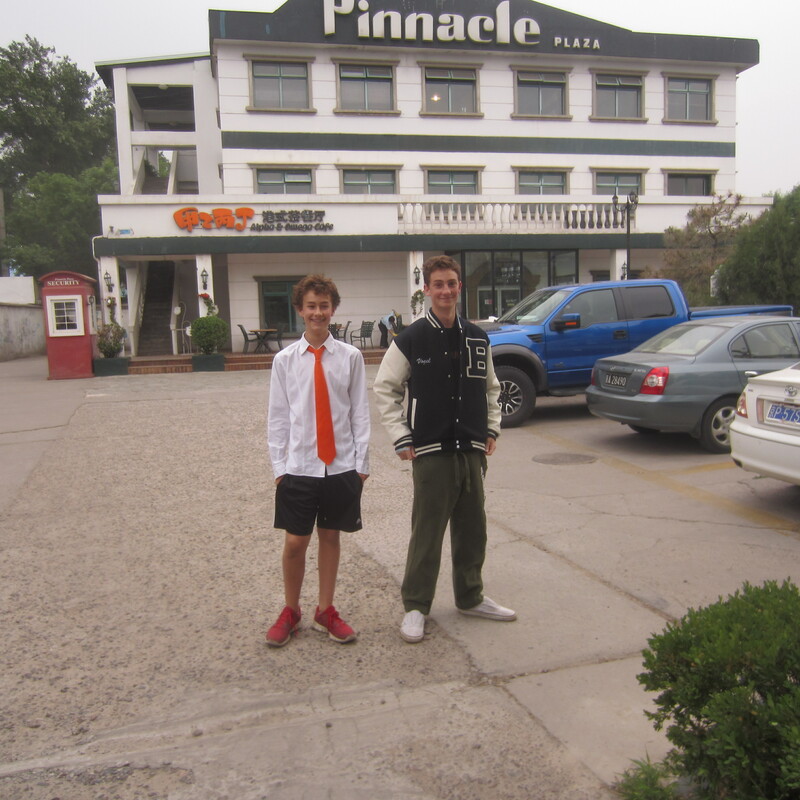 Genghis Khan holds an impressively enduring place in modern Chinese life. He is remembered as a feared and ruthless conqueror who slaughtered anyone who stood in his way. He was particularly eager to kill the aristocrats and ruling classes whom he regarded as treacherous malingerers with nothing to contribute to his burgeoning empire. The Great Wall was started by just such rulers in an effort to keep him out. The Great Wall didn’t work and around 1210 Genghis Khan began defeating and unifying territories into what we now know as China. The job was finished by his grandson Kublai Khan (the guy who hung out with Marco Polo), thereby establishing Genghis Khan as a founding father of unified China. The majority Han Chinese are not always willing to give this red-headed green-eyed Mongol, as described in a contemporary account, his considerable due. Indeed, in most portraits he is depicted as typically ethnically Chinese. Genghis Khan did not built the largest and most enduring empire ever (Alexander the Great may have rocked it in his day but there’s not much of a legacy – China endures mightily while Greece doesn’t have an urn to piddle in, apparently) simply by slaughtering and pillaging. He was able to rule people from Beijing to the Caspian Sea because he was a genius at administration, a brilliant personnel manager who rewarded talent and loyalty. He harnessed and incorporated the skills and attributes of the lands he conquered and, more impressively, he skillfully integrated people of vastly different cultural and ethnic heritages into his empire. While out vanquishing he perfected survival-on-the-go. His army was faster and lighter than those of his enemies. He is credited with originating many of the military strategies employed throughout history and, amongst other things, built the first horse-back cavalry. And while that may be great grist for wannabe militarists and any armchair Montgomery, McArthur or Powell (hey, WWII didn’t have a lock on the gentleman warrior) amongst us, my fellow flower-power pacifists have special reason to praise Khan – he invented the hot pot! Yes, indeed, the first great utilitarian chow-down had Khan flipping over his helmet, sticking it on the fire and cooking his dinner in it! Needless-to-say, Khan must be turning in his undiscovered tomb as rumors circulated recently that Beijing was cracking down on hot pot restaurants because they were bad for people’s health. Cigarettes and booze are two of the Chinese essential food groups, yet could it be the Ministry of Expanding Waistlines deems the beloved hot pot to be seditious. 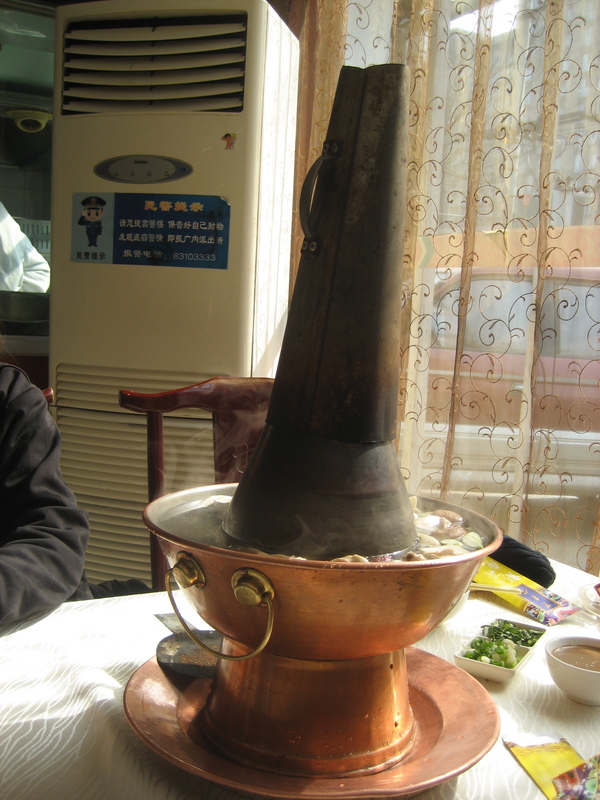 As the Chinese have become richer they dine out more, eat more and grow corpulent; soaring obesity rates, I would argue, are more a function of western dietary influences than a sudden consequence of 900 years of enthusiastic hot potting. 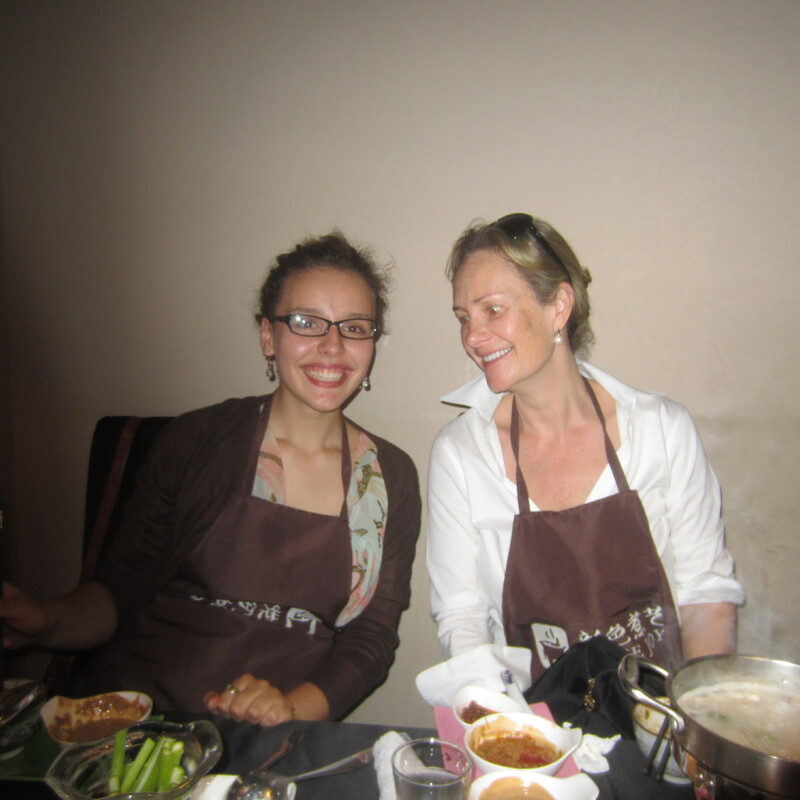 As I have blogged many times previously, there are few greater joys than a good meal with excellent company. And there is no greater challenge than keeping up with the comings and goings of my highly independent children. 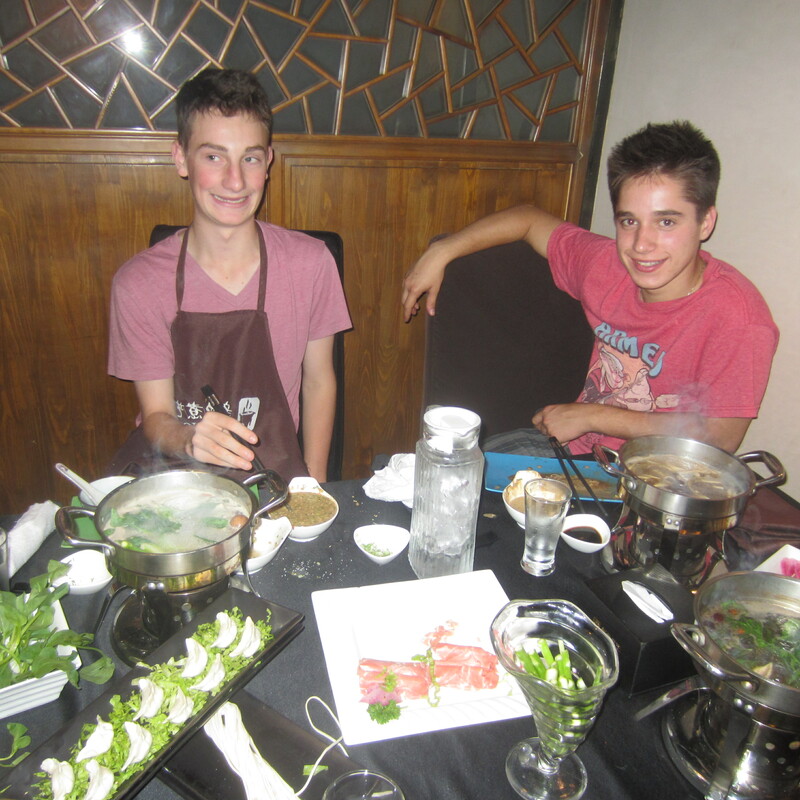 Fortunately, nothing gets a gaggle of teenagers talking better than a long and convivial dinner at the seemingly nameless but typical neighborhood hot pot purveyor in Pinnacle; this anonymous place is a favorite of mine and provides the perfect illustration of the difference between a great meal and a great restaurant. Sometimes a great meal is better! 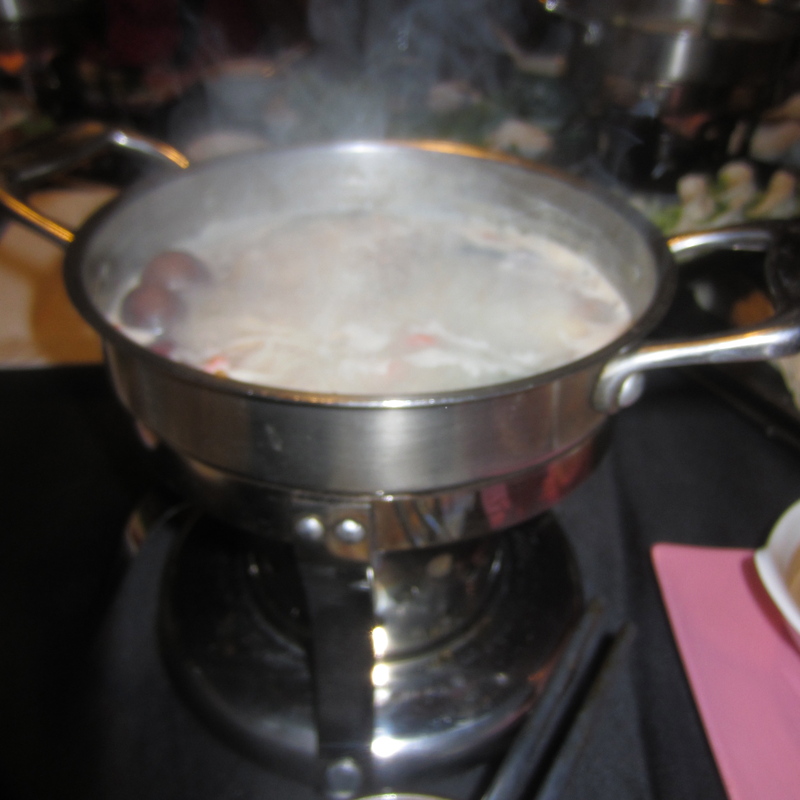 Hot pot is China’s version of fondue; it’s served either community-style, with a large pot placed in the center of the table, or individually with everyone having their own smaller cauldron. A fire is lit below, you pick the kind of broth you want, order from a vast selection of meats, seafood, vegetables, eggs and dumplings, and then you begin cooking. Each perfectly cooked morsel is then dipped into a sauce you create individually from a wide selection of ingredients on offer. I love mine very spicy. As you carefully avoid splashing and burning yourself, the broth absorbs the flavor of all the things you have cooked throughout the meal. The final treat, if you have any capacity left, is drinking the soup. I have been frantically scouring the Internet to discover if there is any truth to this vicious tale of unjust interventionism. Understandably there are a few sites which express concern that the broth is high in sodium or MSG. And, of course, the tabletop fire is a bit of a worry, especially with Jack the Pyro at the table. However, I am relieved that most report hot pot to be a pretty healthy option both inside and out. Apparently it turns out that all the steam is good for your skin! Hmmm, where have I heard that before? 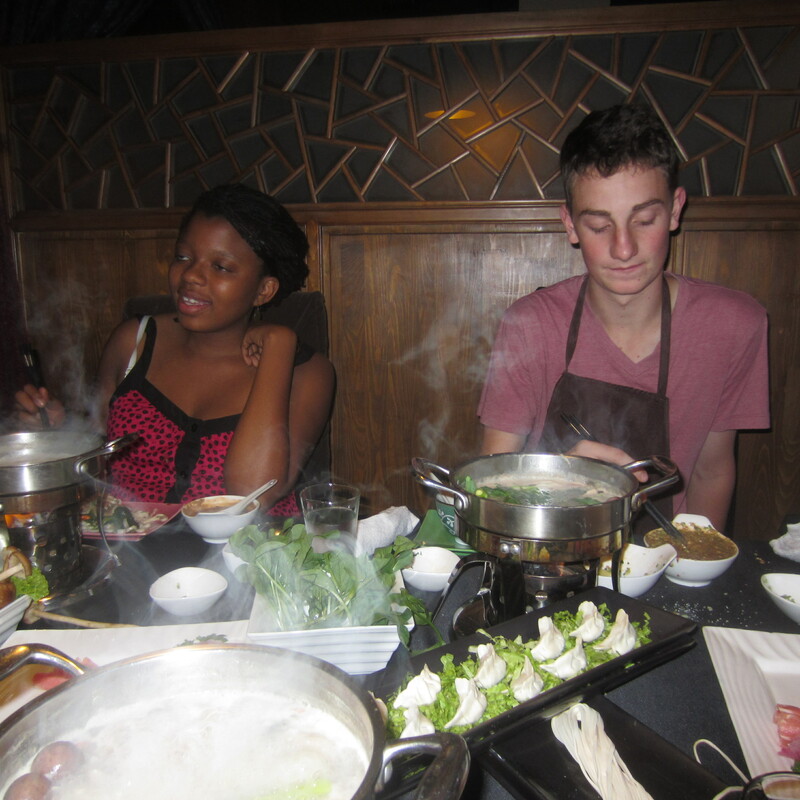 Beijing has a hot pot restaurant on every corner and, like the Chinese themselves, now they can be found all over the world. Notwithstanding its origin in the nasty helmet of a marauding thug with strong management skills, a hot pot makes for a wonderful winter dinner. Yes, indeed, it seems that Genghis Khan’s Mongolian hot pot has spread even farther than his empire while poor Alexander the Great’s doner kebab is the preferred food of choice for drunken frat boys. Hi Julie. Great to see you at lunch! I just joined your blog again, yippee. At hair dresser and he seems to think that the Chinese also eat mouse???? Please let us know 😧🐭???? it seems they do, though I have never seen mic on a menu or in a market…. Loved seeing you too! !